Provide comfort for the family of James Campbell with a meaningful gesture of sympathy. James N. Campbell, 87, of Montclair, passed away on Monday, February 11, 2019. A funeral service will be held at 11am on Saturday, February 23rd at Caggiano Memorial Home, 62 Grove St, Montclair. Visiting will be prior to the service from 10am-11am at the funeral home. 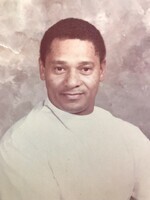 James was an LPN at Essex County Hospital for many years. He is survived by his wife Ouida, his children Andria, Diane, David and Steven, 1 brother ,3 grandchildren, and 1 great grandchild. To plant a memorial tree in honor of James N Campbell, please visit our Heartfelt Sympathies Store. Visiting for one hour prior to service from 10am - 11am at the funeral home chapel.